Now that Guinevere has been in our lives for over half a year (is it ridiculous that I’m already starting to plan her first birthday in my head? 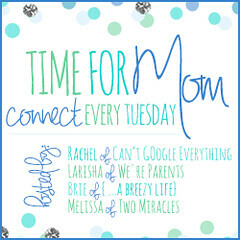 ), I just wanted to share some of my favorite moments of being a mom. 1. That moment first in the morning when I walk in Guinevere's room and she rubs her eyes and recognizes me. Her face breaks into a huge smile and her eyes say, "Oh it's you!!! I'm so glad you're here!" It warms my heart every time. I love that she now recognizes me and seems to prefer my presence (or Aaron’s) to anyone else (sometimes too much so - she can get very fussy if I leave the room for too long now, but I guess there are worse problems to have). 2. That moment when Guinevere falls asleep during her last feed of the day. She's so beautiful and peaceful. And I know that moment will not last long. My baby is not one that you can nurse to sleep. She falls asleep while eating, yes. 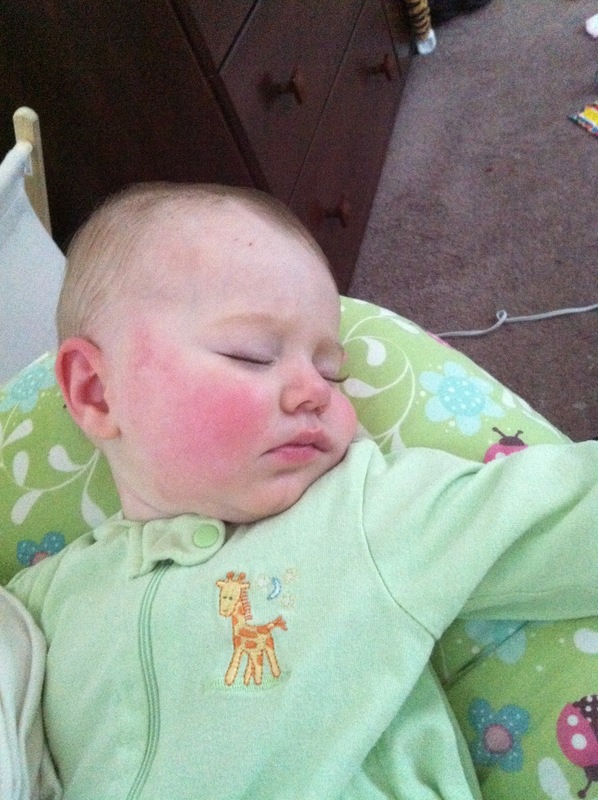 But the moment you pick her up to move her, she wakes up. Sometimes she remains drowsy enough to go back to sleep - most of the time, she wakes up wide awake, no matter how sleepy she was before, and does NOT want to go to bed. 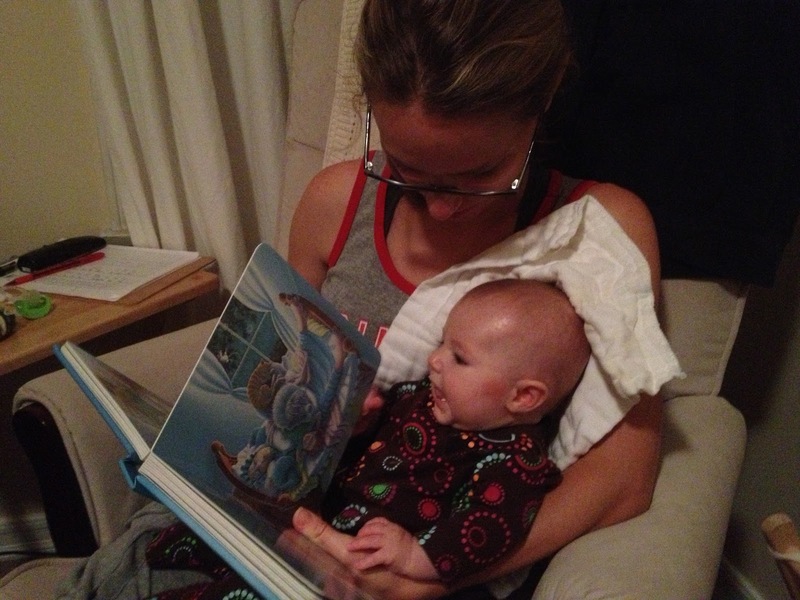 This is one big reason why our bedtime routine involves story time after feeding and before bed, which brings me to my next favorite moment . . .
3. Bed time stories. One of the things I've always looked forward to about being a mom was reading to my kid at bedtime. I will admit that I was a little disappointed the first couple times I tried to read to Guinevere. She squirmed and fussed and did not seem to enjoy it . . . granted, she was only about 3 weeks at the time. Now she really seems to enjoy it. She smiles as I turn the pages – and even turns the pages herself sometimes. She definitely has favorite books. Right now, her favorites are "The Napping House" and "The Hungry Caterpillar." She also seems to like it when I read some French nursery rhymes to her - she looks up and me and stares at my face while I'm reading. Reading her favorite "The Napping House." 4. Watching my baby learn to eat. As you know from my last post, we are now introducing Guinevere to the world of food. So far she's a pretty good eater. She seems to prefer the finger foods to the purees, which is fine with me. 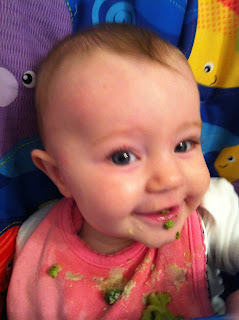 But probably the most magical moment thus far has been watching her eat and love veggies! Her favorites are cucumber and broccoli. One of the best moments was last week when I gave her banana for the first time. She had a piece of banana in one hand and a piece of broccoli in the other. She tasted both, contemplated them for a bit and then starting voraciously gnawing on the broccoli and dropped the banana. 5. Listening to her "talk" to herself. Her "vocabulary" now includes several consonants. She loves to say, “dada.” I’m sure she doesn’t know what it means yet, but it’s still really cute to hear, and of course, Aaron LOVES it. No “m” sounds yet, though, which means no “mama” yet. Every time she says “dada,” I say “Very good! Now can you say mama? MmmmaMmmma.” She’ll stare at my mouth with a slightly amused, incredulous look that seems to say, “Mommy, you’re silly, of course I can’t say that yet. But I would like to figure out the mechanics of it.” She’ll get there eventually. Brenda, I can't tell you how fun it is to have a baby the same age as your Gwen. Your joys remind me of my own, your struggles, too. It's cool. Psssh I had my G's birthday party planned by the time she was like 3 months old. So totally normal :) She is precious, and growing so fast! !